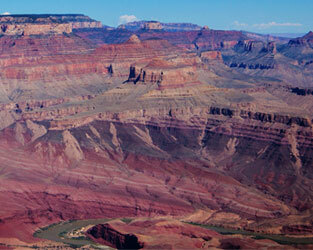 Let the majestic scenery and infinite splendors of the Grand Canyon set your sense of adventure free. The vistas atop the South Rim showcase the dancing light on the canyon walls as it perfectly frames the wild Colorado River below. 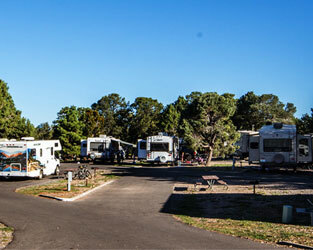 Your visit to the Grand Canyon can be filled to the brim with adventure; or you can arrive, check-in and let the stress of everyday life back home melt away. 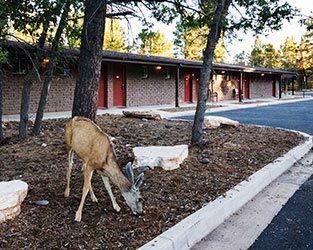 Make a reservation at Yavapai Lodge® where you will enjoy adventure by day and warm hospitality by night. 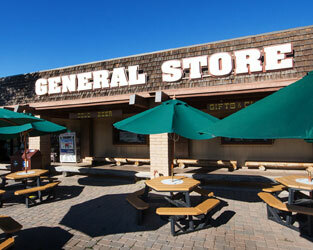 NOTE: All rooms are non-smoking. If you smoke in the guest room, a charge of $250 or more will be added. 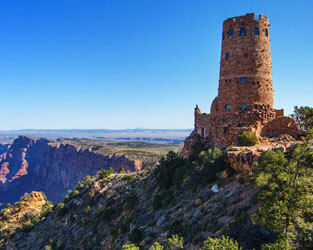 The Grand Canyon is located in Arizona which observes Mountain Standard Time (MST) year-round.